Mother's Day is coming! Time to show your appreciation by treating your mom (or the mother of your kids) to something nice. Flowers and a card? That's pretty good. Brunch? Sure. Everybody loves brunch. But if you are reading The Time Bum, you are probably thinking that she might like a watch and you don't know where to start. Never fear, The Bum's got something for your Mum! 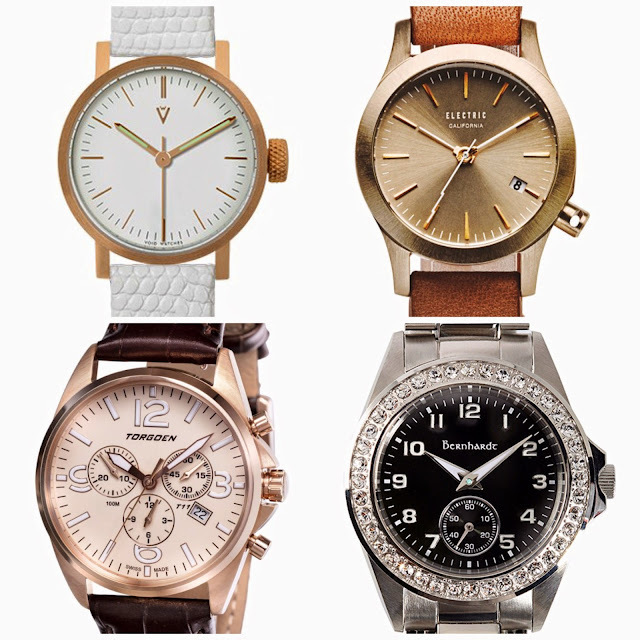 Wait, that didn't come out right... Before I dig myself any deeper, allow me to present six watches your mother will love. I have long admired Void's clean and modern designs. With the V03P, they bring that same simple aesthetic to a women's watch. The V03P (for "petite") has the same handsome lines, angular lugs, and cool knurled crown as the mid-size offering, but in a 28mm brushed stainless steel case. Baton hands, applied markers, and a diminutive logo add depth and decoration to the dial. You may choose from several options, but I am partial to the gold case with the white reptile print strap. The V03P is rated for 50 meters. This tiny, 26mm quartz is rated for 200 meters water resistance, but it's stylish looks are more tony than tool. It has a domed crystal and a minimalist dial with applied markers. The signature lighting bolt second hand and bored-out, 4 o'clock crown are unique accents. 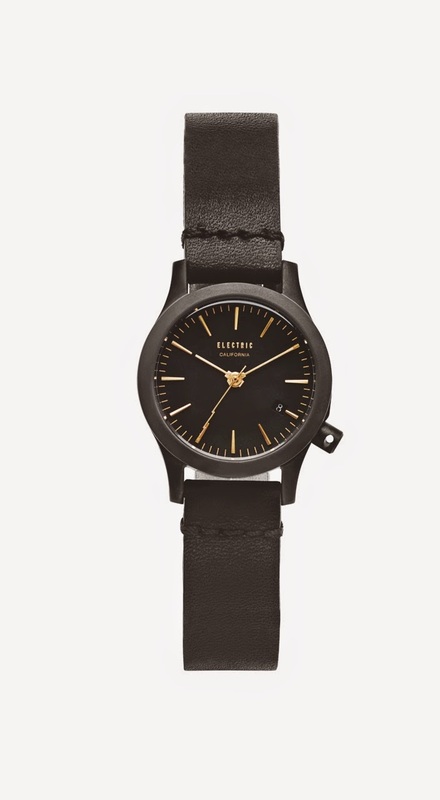 The watch is available in steel, gold, and rose gold finishes with either a link bracelet or brown leather strap, but if your Mom is a little edgier, I'd suggest the sleek black dial, black case on black leather. The FW03 goes on sale Monday, May 4 at select retailers and ElectricCalifornia.com. North Carolina's Bernhardt was a micro brand before micro brands were cool. In addition to dive and field watches, they have also made a ladies' watch or two. The 34mm Delphine has a Swiss Ronda 1069 quartz movement, sapphire crystal, 50 meters water resistance, and a bezel set with 40 cubic zirconia stones for a bit of bling. It comes with both an oyster link steel bracelet and a leather strap. Dial colors are black, champagne, and dusty rose. The 36mm Parkville is an excellent everyday dress watch. 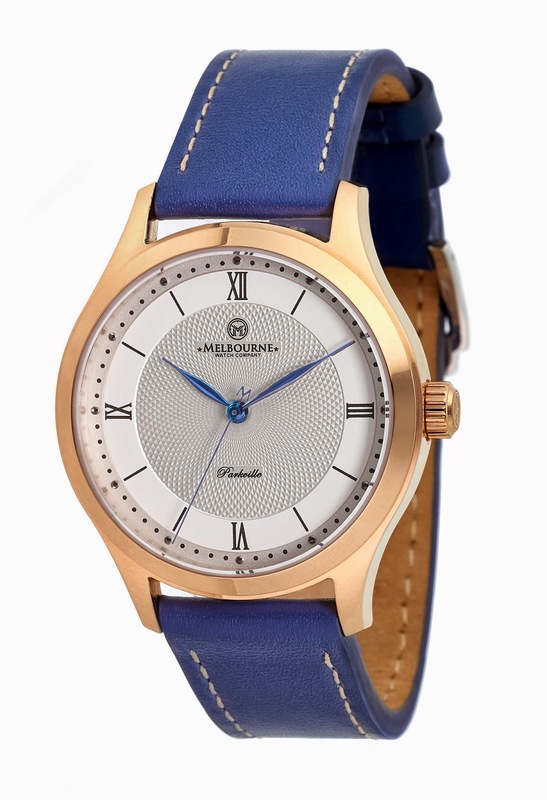 It has the attractive, traditional design we have come to expect from this Australian watchmaker, featuring a multi-level dial with a Rosetta spiral guilloche center and ion-plated blue hands. The movement is the reliable Seiko NH35 automatic. 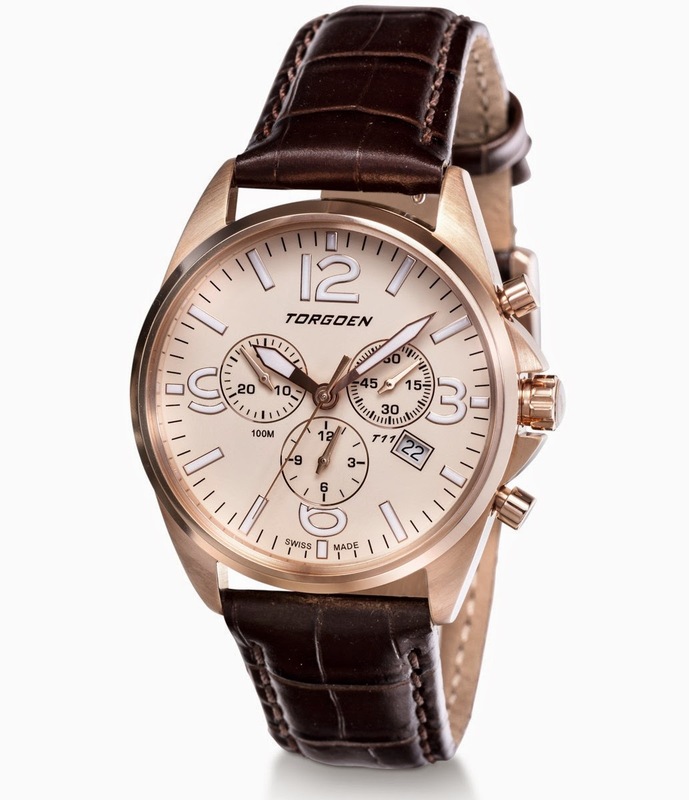 It has a steel or rose gold case, sapphire crystal, decorated case back, and a German leather strap. At 41mm, the T11 is one of the larger women's watches, but it is perfectly proportioned for a traditional pilot's design. This three register chronograph has a Swiss made Ronda 5030.D quartz, sapphire crystal, applied markers, and 100 meters water resistance. 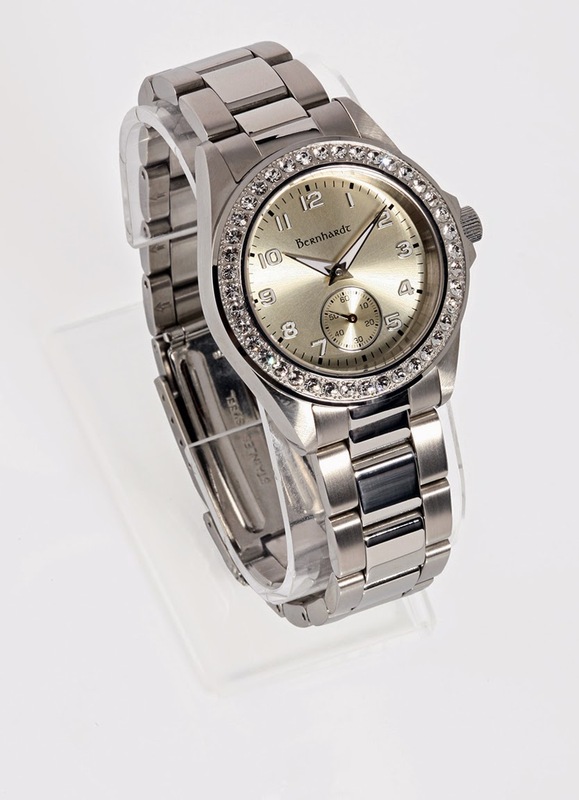 Options include silicone or Italian leather straps, link bracelets, diamond bezels, and Mother-of-Pearl dials. "Those are nice," you say, "but I want to do something special. I mean really, really special." No problem, just buy your mother a Rolex. I know, it sounds crazy coming from The Time Bum, but if Mom has an appreciation for antiques, a Rolex may be within reach. ClassicWatch.com has this lovely model from 1930. 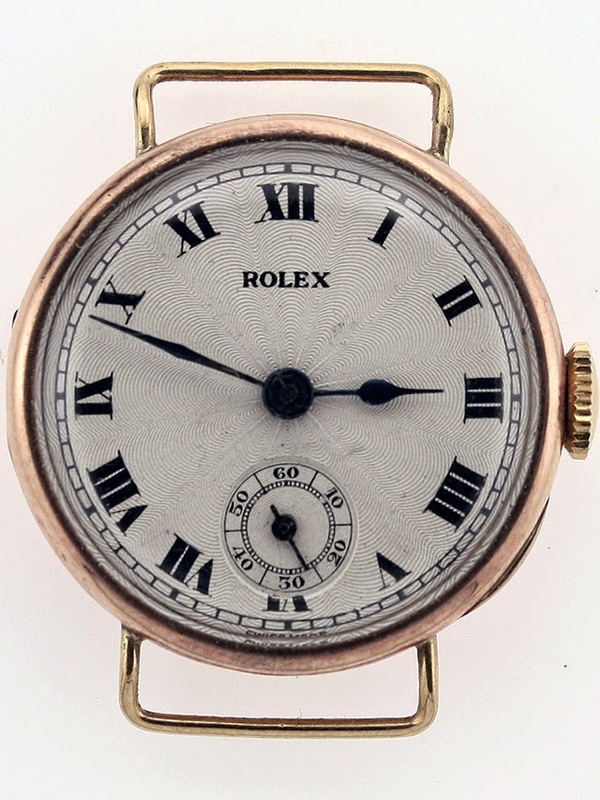 It is in near mint condition with its original guilloche dial and blued hands. The case is 9 carat pink gold, with wire lugs and a hinged back. Inside you will find an 18 jewel, hand wound movement, ready to take on the next 85 years. It's not cheap, but it is thousands less than a new Rolex, and infinitely more charming. Pair this with an appropriate pass-through or open-ended strap and you will have a gift your Mom will cherish forever. All photos courtesy of the sellers.